Telkomtelstra - Telkomtelstra is a newly established information technology (ICT) company in Indonesia. Based in Jakarta, Telkomtelstra has core business competencies in the field of network application and services (NAS) by targeting banking and financial institutions. Telkomtelstra offers a wide range of managed solution services, comprising managed network services, managed cloud services, software as a Service, Unified communication and collaboration services, managed security services and professional services. 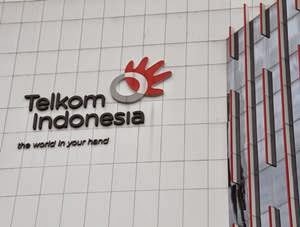 Telkomtelstra is a multinational joint venture company between PT Telekomunikasi Indonesia (Persero) Tbk (Telkom Group), the largest state-owned telecommunications operator in Indoensia, and Australian telecommunications giant Telstra Corporation Limited (Telstra). According to Telkomtelstra's company profile as cited by JobsCDC.com, Telkomtelstra is 51% owned by Telkom Group, and 49% by Telstra . Technical : Computer, Informatics, Informatics System, Electrical Engineering or other Engineering disciplines. Business : Management, Economy, Social and Politics, International Business. Will graduate within January/February 2017, and/or graduate with less than 1 (one) year job experience. For technical - IT & Technology Vendor Certified Academy is preferred : Cisco Certified, Huawei Certified, Microsoft Certified, Security/ISO Certified, Mobile Application Certified (IoS, Android, Windows) etc. JobsCDC.com now available on android device. Download now on Google Play here. Please be aware of recruitment fraud. The entire stage of this selection process is free of charge. Telkomtelstra - Graduate Development Program Telkom Group January 2017 will never ask for fees or upfront payments for any purposes during the recruitment process such as transportation and accommodation.